The government has announced major changes to its Making Tax Digital for business (MTD) proposals: MTD will initially only apply for VAT. VAT registered businesses will be mandated into HMRC's plans for quarterly bookkeeping and reporting from 2019. MTD will not become compulsory for other business or taxes until 2020. VAT registered businesses, with turnover over the VAT threshold will be mandated into the MTD reporting system from 2019. Property landlords and small business trading below the VAT threshold will join MTD from 2020, although they may opt in to MTD earlier if they wish to do so. 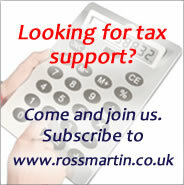 There is no news on what is proposed for corporation tax. The government says that it has listened to concerns raised by parliamentarians, in particular the Treasury Select Committee, businesses and professional bodies about the pace of change and is taking steps to ensure a smooth transition to a digital tax system.